Nine upcoming European classical guitar players from EuroStrings Platform will be performing in London, UK from 26th to 28th October at the London Guitar Festival 2018. London Guitar Festival 2018 features a wonderful series of concerts, masterclasses, and competitions, with an exciting line-up of major international artists and young artist making their debuts. Europe’s foremost Flamenco act, the Gerardo Nuñez Quintet is headlining the Friday night, and the amazing Ana Vidovic concludes the “Big Night of the Guitar” on Saturday evening. EuroStrings Artists will be performing as the part of “Big Night of the Guitar” program. 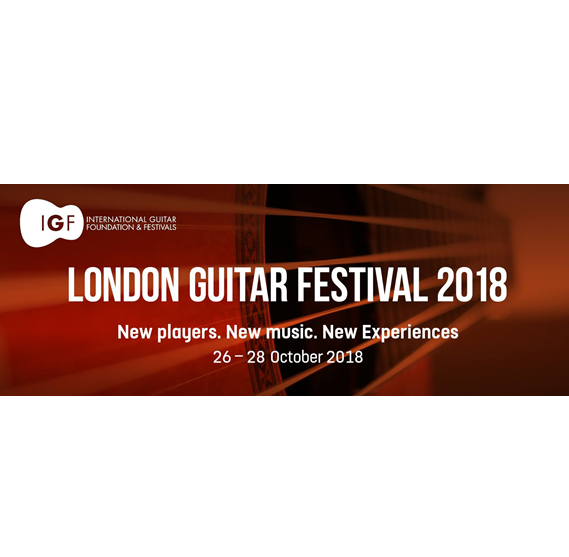 EuroStrings Artists that will participate at the London Guitar Festival 2018 are Dominik Carevic (Croatia), Peter Giran (Hungary), Vedran Vujica (BiH), Antoine Moriniere (France), Antero Pellikka (Finland), Boyan Doychev (Bulgaria), Andrea Roberto (Italy), Domenico Savio Mottola (Italy), and Giacomo Susani (Italy).